Indoor Positioning System & Amazon – What is their next move? Amazon is Disruption! Online shopping has disrupted the high street to such an extent that technological advances have to be made to enable them to compete with the giant that is Amazon – this is where indoor positioning comes in. We all know that it started as an online bookstore, but it is now so much more than that and in fact also a brick and mortar bookstore. The services now on offer are extremely varied, from personal assistants, Cloud drives, supermarket all the way to a TV show produced exclusively by Amazon. 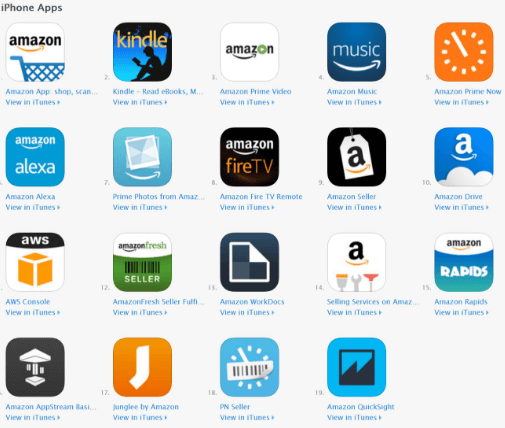 This shows that Amazon are a company not scared of new tech or trying something outside of their core offering. Harder to identify than most but connecting their IoT, shopping and brick & mortar offerings, allowing them to complement one another is a main one. They have the chance to leverage the experience and information they get from the offline store to create an even more unique shopping experience. Accurate Indoor Positioning is a necessity for Amazon. This is not only for internal Amazon business efficiencies but also for customer innovations and connecting their ever growing IoT technology. 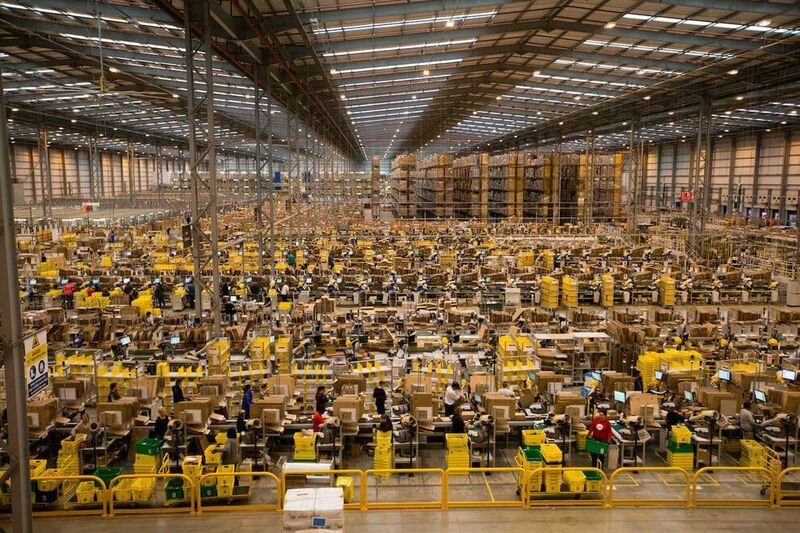 Currently Amazon are the most innovative company in the world when it comes to setting up their warehouses, known as fulfillment centers. Their shelving system to the naked eye makes no sense but it is based on maximizing the shelf real estate, not like a library dewey decimal system. They also have a very unique picking system that is automated through the use of Kiva robots. These robots are automating the entire picking system and were created by a company called Kiva Systems which Amazon bought for $775 million in 2012. That being said, something like indoor positioning can be used to create a unique health and safety solution for the warehouse employees, helping Amazon meet all the criteria they need to for their requirements in the country where the fulfillment center is hosted. Already touched upon, Amazon is synonymous with online shopping and now they are also venturing into the “traditional” high street stores. There have been many articles written about this. This one’s from The Atlantic. One of the interesting theories, which is not really talked about in that article, is Amazon understanding the offline customer journey better. Doing this would help create an even more unique customer experience online. Indoor Positioning is the technology that can help close the gap between the online and physical shopping experience. Understanding the funnel is something Amazon are masters at online, but with the use of Indoor Positioning and analytics they would be able to understand the offline shopper to a level not before done. As previously stated, having their own stores is one way to win the moment of truth, but to generate new leads or another revenue source, Amazon must think outside of the box literally. Through setting up a network in a mall, it would be possible to understand how a person shops; are they a window shopper, are they showrooming, are there certain items that are more likely to be an impulse buy in person etc. 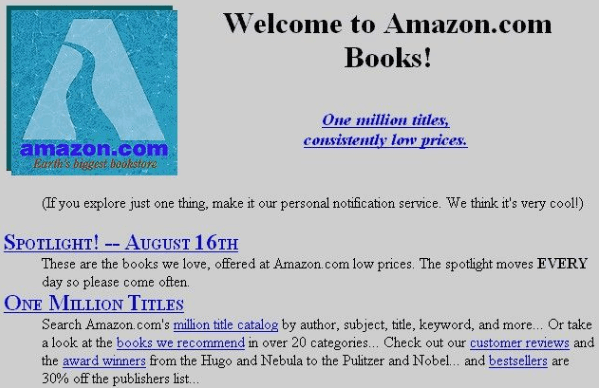 This is where Amazon could learn a lot and create many more leads. It would be possible to individualize a message by matching an Amazon profile, to add context to their campaign and influencing the moment of truth or converting more leads with extra special offers. By learning more about how a shopper behaves in a mall, it would be possible to transfer that learning online or even make Amazon omnipresent through contextual based campaigns being delivered in the right time, to the right person at the right location. Here Amazon are making great strides, with Echo, Fire and their array of mobile apps working together to create a complete IoT environment in the home. These are just the customer facing sides of their IoT offering, it is behind the scenes where they are leading the way with Amazon Web Services (AWS). AWS is Amazon’s cloud service that is defined as an on-demand computing platform. It is platforms like this that allow for a server space to be adjusted for peaks and troughs of traffic to avoid bad website or connection performance. These together offer a very robust IoT structure and would make implementing an Indoor Positioning solution extremely easy. It is also worth mentioning that the Amazon appstore has around 600,000 apps in it, all of which could be used to support their IoT. Indoors or Offline Amazon has shown that they are interested in entering a whole new world (for them). This means new ways are needed to understand customers and optimize the funnel. Are the online and offline shopping personas different? Amazon are about to find out and they will need Indoor Positioning to make this possible. 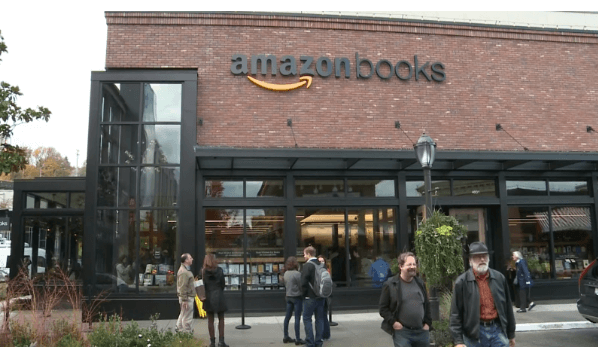 We were talking back and forth about what the next iteration of stores would look like when we were outlining this blog and one of the ideas was exactly what Amazon put out there with Amazon Go, the video that everyone it talking about. The reason we did not put this in our blog was not that we didn’t want to spoil the launch, we just thought that a company was not likely to do something so advanced in the consumer environment so soon. But Amazon have done it again and are intent on bringing the ease of online shopping to the high street. Though it is a great technological advancement, it still missed the Indoor Navigation aspect that will be key in the next generation of consumer stores.